To make sure that business grows exponentially, it is crucial to sell products as much as possible. For this, it is prominent to advertise products/services. Here, the importance of telemarketing multiplies because it helps us to promote products in an effective manner without asking a huge investment of money. With time, getting desired results via telemarketing has become onerous because prospects often disconnect sales related calls within 10 seconds. Owing to this, businesses that try to improve sales growth with the help of in-house telemarketers often face unnecessary hassle. However, businesses that prefer to avail services from a recognized telemarketing company often enjoy elevated sales conversion rate. This is so because specialized telemarketing service providers are well-equipped with all those tools required to secure desired results. To enjoy success via telemarketing, it is significant to make maximum calls in a day. This is so because having a meaningful dialogue with a throng of potential customers is the only way toachieve the desired results. Here, the significance of predictive dialer increase as this improves the efficiency of telemarketers up to 40%. The specialty of this system is that it searches for the next best number while telemarketers are busy in explaining the benefits of products/services to prospects. 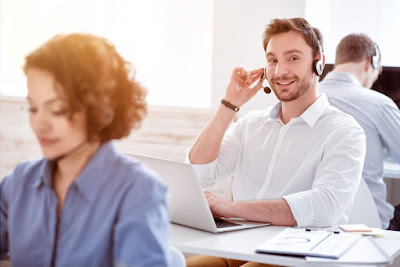 In addition, when telemarketers are done with ongoing calls, the predictive dialer system connects them to the next potential customers. Owing to this, the productivity levels jump significantly. The factor that would leave you stunned is predictive dialer system guarantees 40 to 50 minutes talk time per hour, and this is quite higher as compared to the manual dialing system (10 to 15 minutes talk time per hour). Therefore, if you are willing to improve sales growth with the help of in-house telemarketers, bring the predictive dialer system ASAP. Otherwise, you can avail services from any reputed telemarketing company. VMD (voice mail detection) system is another tool that gets thumbs up from every recognized telemarketing company. This is so because it saves telemarketers’ precious time up to 50%. Because of VMD, telemarketers don’t have to go through performance-sapping voice mail calls. Wondering how? Well, VMD automatically detects those calls that are going to be connected to the voicemail system of potential customers. Plus, VMD disconnects such calls instantly, which, in turn, indirectly gives a boost to the productivity levels. Besides improving sales growth, VMD slashes the overall cost to a large extent. This is certainly good for the business’s bottom line. So, if you want to secure good sales results like a specialized telemarketing service provider, you should be employing the voice mail detection system. It would be very easy to check the effectiveness of telemarketing scripts. Recorded calls could be used as a training material as nothing is better than real-time examples to teach newbies. Call recordings could shed light on those complicated questions that potential customers could ask during the interaction with telemarketers. After finding out the reliable answers of such questions, intricate situations could be tackled next time in an effective manner. So, if you are trying to improve sales growth via in-house telemarketers, start recording calls and take necessary actions when something goes wrong. At the present time, only those companies can grow that are experiencing high sale conversion rate. However, improving sales growth isn’t an easy job to do because potential customers often don’t stay on telemarketing calls. But it doesn’t mean that telemarketing is good for nothing. This traditional technique could bring the desired sales results to the table. By writing down this article, we have talked about 3 most effective tools that can pave a way for telemarketing success. We hope that you have understood everything while reading.